Running a Hobie Class Association Sanctioned Event is a huge responsibility, but it can be very rewarding and, if run correctly, very profitable for your fleet. Before you start, please review the HCANA Policies and Membership requirements. If you have any questions, please don’t hesitate to contact the HCANA Membership Chair, Race Director or Events Coordinator(contact info click here). We’re here to help! 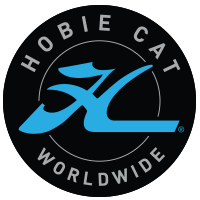 The Hobie Class is pleased to be able to offer non-incorporated member fleets in North America regatta liability insurance at no cost. Please see the links below for specific details and limitations. Most venues will require that they be listed as an “Additionally Named Insured” on the certificate. Turnaround time is typically less than 24 hours. Would you like to have a North American Champion level sailor come to your venue to run clinics and chalk talks? For free? It will increase the attendance at your regatta, the level of your sailing and the event’s bottom line. Running an Area Championship or North Americans is like a points regatta on steroids! It’s a lot of work, but also a lot of fun! The first thing you need to do is read the Hobie Class Major Event Manual. The Event Manual has all the details associated with bidding and hosting a North Americans or Area Championship. Area Championships are eligible for monetary grants from the HCANA. The Area Championship events are expected to be the premier Hobie Sailing event of each Area of the HCA. As such, the Organizing Authority is expected to make the event memorable by providing features above and beyond those normally found in a weekend Points Regatta. To insure this and with the full awareness of the financial aspects of running any weekend event, the Area Championship Grants were created. These grants are designed to enhance the quality of the event rather than to provide for the basic needs of the event. For details on applying, click here. More Details are also in the Major Event Manual. There are special requirements regarding the NORs on Area Championships and North American Championships. Area Championships and North Americans are strongly encouraged to use Regatta Network for on-line registration and scoring.